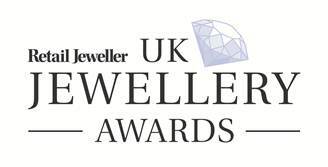 We’re celebrating at Diamond Boutique today with news that we have been shortlisted for the E-tailer of the Year 2015 in the UK Jewellery Awards 2015! We are extremely excited as the awards are the equivalent to the Oscars for the jewellery industry. We were delighted to be finalists and are eagerly awaiting the glittering awards ceremony, which will be held in the Tower of London. The winners will be announced on 17th June 2015… we’ll keep you posted!